Very elegant and attractive chess set which stand on its board. Black and brown chess pieces, carved in high quality product by professional craftsman. Use fabric chess board that very easy to carry anywhere. When you want to play with it, you simply have to held the chess board lay the chess pieces on it. 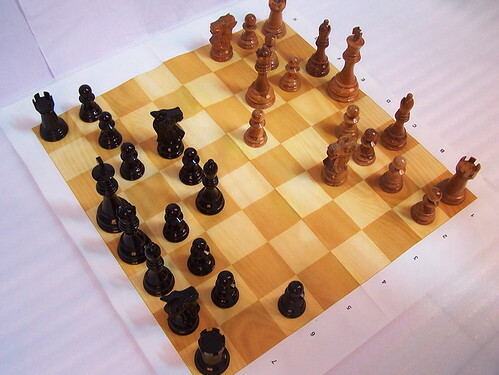 By using this kind of chess board, you just easy to carry and you can play chess where ever you want.